A family endeavor, Flora Springs has a rich history in Napa Valley wine making. Keeping only the best twenty percent of their crop each year for their own wines, Flora Springs sells the remaining crop to neighboring Napa estates. 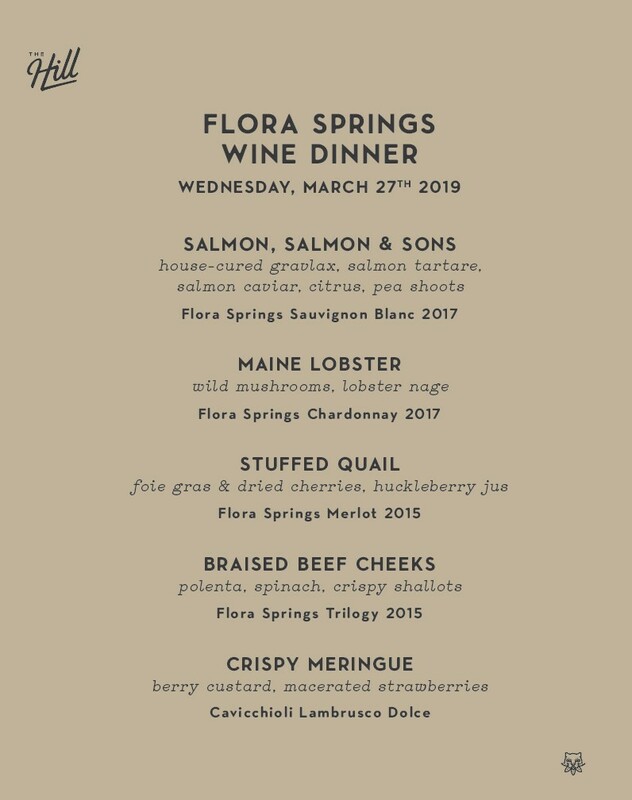 Paul Gardner of Flora Springs pays us a visit and guides us through a unique selection of Flora Springs' varietals including Trilogy, their style-defining Napa Bordeaux blend. At $172 per guest inclusive of tax and gratuity, this five-course dinner paired with the wine in mind is an exceptional value.